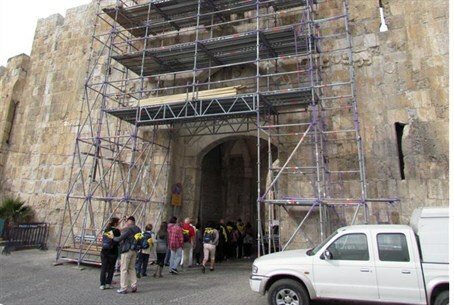 One of the most important projects in Jerusalem, the conservation of the Old City walls and gates, is complete. One of the most important projects in Jerusalem, the conservation and rehabilitation of the Old City walls and gates, is complete. In a statement released Monday, Israel's Antiquities Authority said the work of preserving and stabilizing the Lions Gate in the Old city's eastern wall has never been completed. The impressive gate is the last of the seven open gates of the city wall that were meticulously and professionally treated in recent years by the Conservation Department of the IAA. Funding was provided by the Jerusalem Development Authority and the Prime Minister's Office. The project, which lasted five years, focused on walls that had been built and last renovated in the mid-16th century CE by the Ottoman sultan Suleiman I.